Forsythia (Forsythia intermedia): growing, planting, caring. Forsythia is one of the first shrubs to brighten up our gardens with their bright yellow blooms at the beginning of spring, or sometimes even in February! 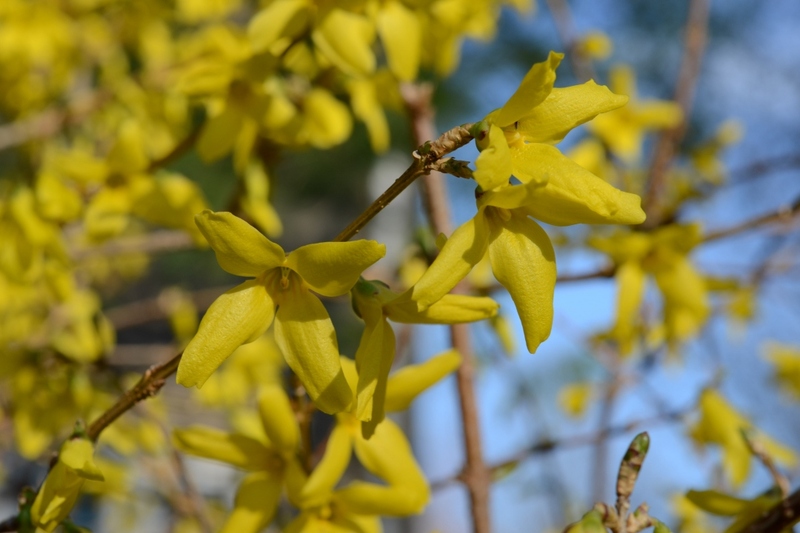 Originally from Asia, forsythia is a shrub that forms an elegant bush bearing yellow flowers early in the season. There are a dozen species in this genus, mostly from temperate Asia. They like the sun and soil that's not too chalky. 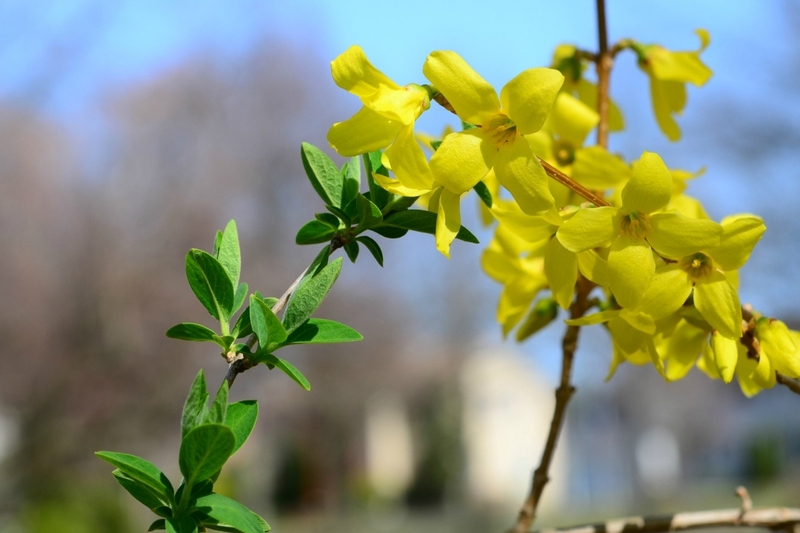 Forsythia is a yellow-flowering shrub with a very precocious nature — it has dark green, deciduous leaves that take the form of spearheads. It's countless little yellow flowers are a sure sign of the arrival of spring! 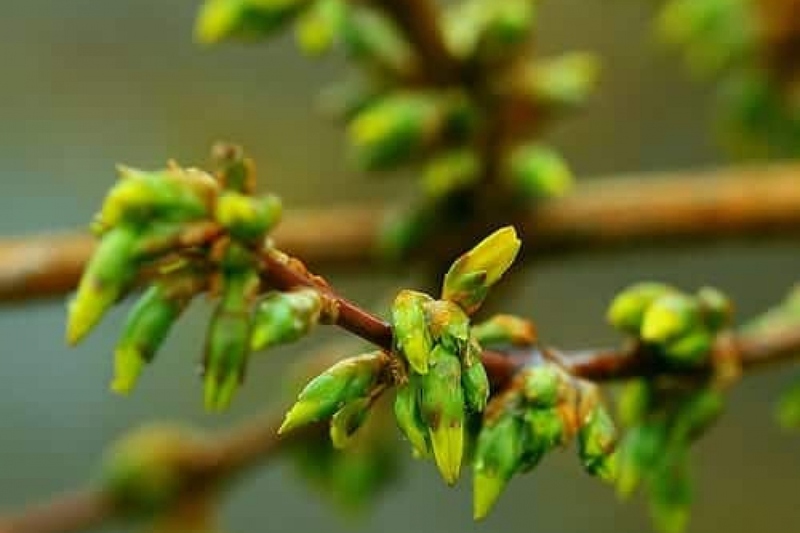 Plant your forsythia starting at the beginning of autumn or in the spring — avoid frost at all cost! You can cultivate small varieties of forsythia in pots on your patio or balcony, provided you're able to repot them every 2 to 3 years around the same time. 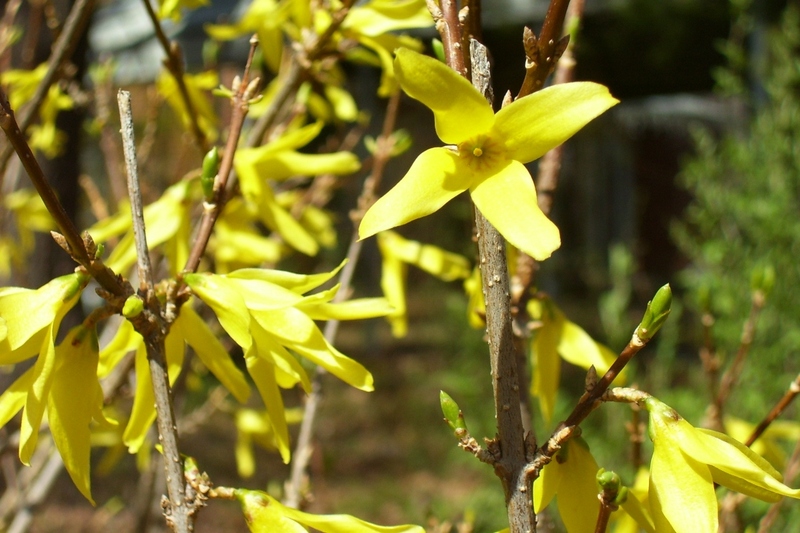 Forsythia isn't particularly demanding, and apart from the first season, it will tolerate a few missed waterings if planted in open soil. All the same, water copiously for the first year after planting or repotting, and twice a month for potted forsythias, depending on the quality of the mulch. Every three years, repot your forsythia, with a nice input of ripe compost! Prune directly after flowering, cutting back as much as you'd like to maintain a balanced shape. Every 5 to 8 years, cut back your forsythia to ground level. Mulch your forsythia before winter in order to protect the roots from cold, and to add much-needed organic material to the soil. Renew the mulch in May. Take herbaceous cuttings in June and put them directly in water until roots begin to appear. You can then transplant them into a light mixture of potting soil and sand in March. To make bouquets, cut long branches just before they bloom! Once indoors in a vase, the buds will slowly open.